Lamb with Bow Zig Zag Applique - 3 Sizes! This machine embroidery applique design is finished with a zig zag stich and blanket stitch. The design is outlined with a bean stitch which is the final step and is optional. This machine embroidery applique design is finished with a zig zag stich and blanket stitch. The design is outlined with a bean stitch which is the final step and is optional. 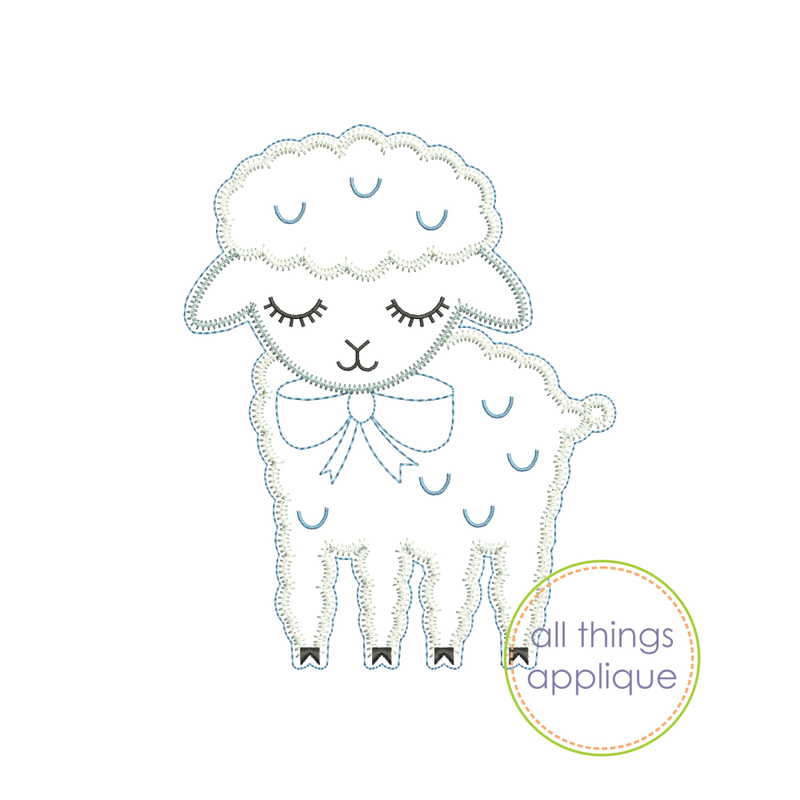 Baby Lamb Applique - 4 Sizes! Lamb Necktie Applique - 3 Sizes! 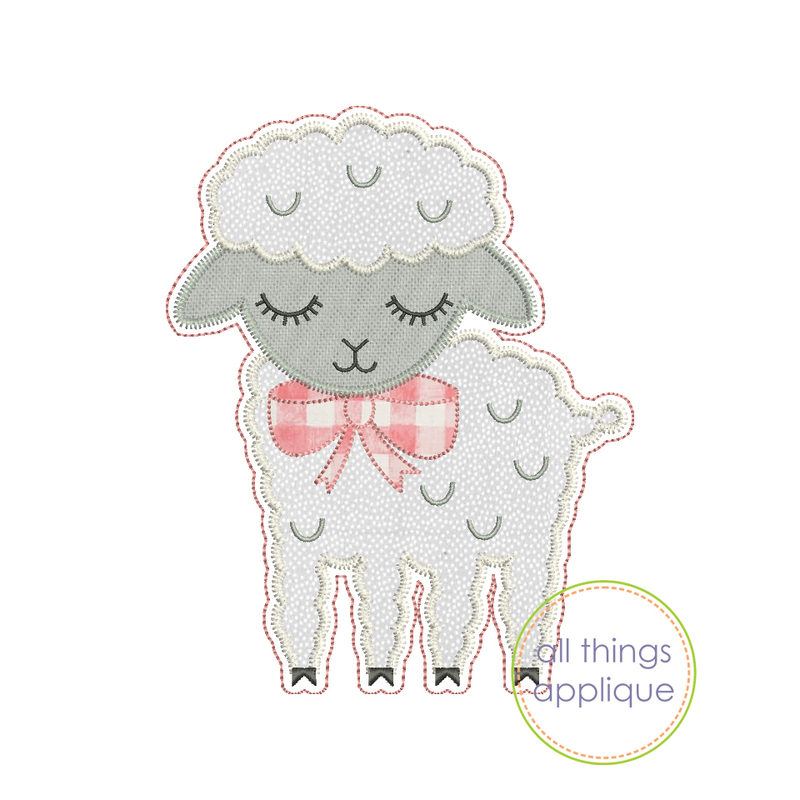 Lamb With Bow Applique - 4 Sizes! Lamb with Necktie Bean Stitch Applique - 3 Sizes! Finish Size 3.06" x 3.85"
Finish Size 4.85" x 6.10"
Finish Size 5.85" x 7.35"